We are an independent practice based on Wrawby Street (opposite 'The White Horse') within Brigg Town Centre. Focus is always on providing a truly comprehensive and personal eye-care and eye-wear service that offers patients and clients the reassurance that their eye sight and spectacles are being looked after by Optometrists (Ophthalmic Opticians) and Optical Assistants. 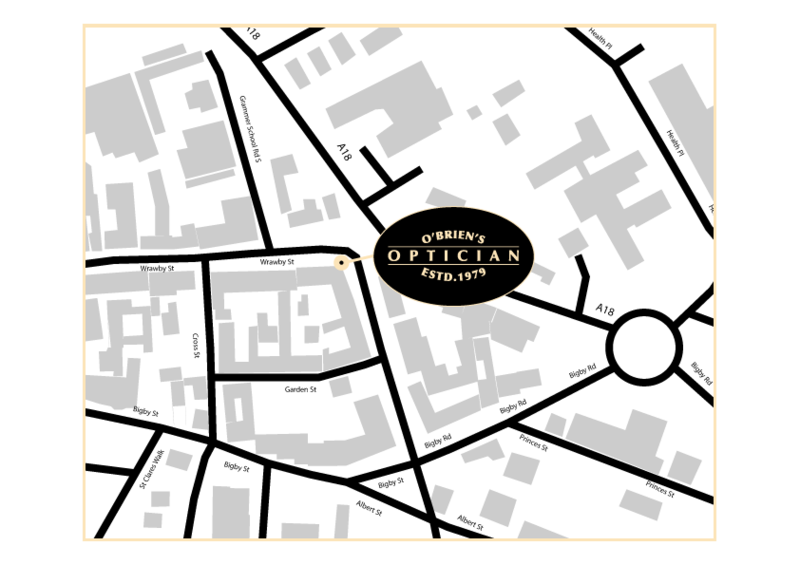 We have been determined on providing a top quality eye-care service in Brigg since 1979. Our aim has been to create a warm and welcoming environment within the traditionally furnished surroundings. In a market dominated by larger optical groups we are a practice dedicated to providing patients with a reassuring, individual and professional service. 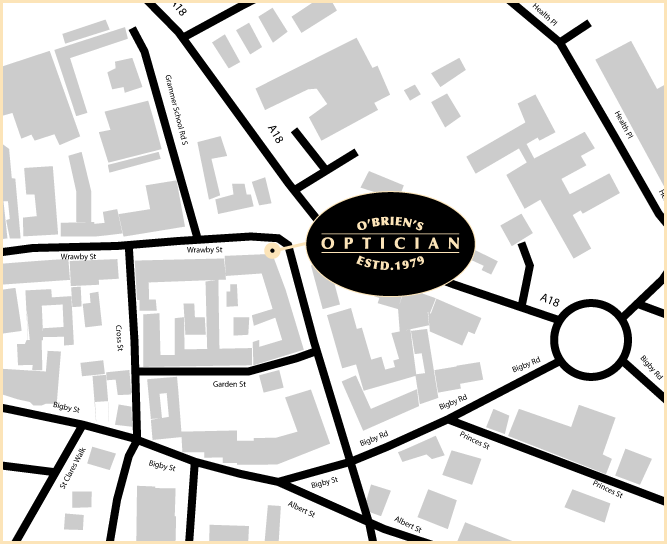 The team at O'Brien's are always committed to providing advice on quality, value and service. Professional guidance is provided on eye-care, glasses and contact lenses. Emphasis is always placed on a personal service, correctly fitted frames and accurately dispensed ophthalmic lenses. We offer both Private and NHS eye examinations. We also offer a complete contact lens fitting and aftercare service. The largest range of quality branded eyewear in Brigg can be found at the practice. Designer ranges include sought after brands such as Ray-Ban, Oliver Peoples and Tom Ford. We are known for the widest selection of frame styles hand picked from around the world. Exclusive niche eyewear by Etnia Barcelona, Face a Face, Francis Klein, Flair and Polaris. Sports eyewear is an important part of the practice. We stock sunglasses by Oakley including ski goggles. These sunglasses were worn by many of the Olympians in London 2012 and Rio 2016. We also stock sunglasses and ski goggles from Maui Jim which offer the best polarised lenses on the market. The practice is open from 9am-5pm Monday to Friday and Saturday from 9am-4pm. Home visits are also available for the housebound.